Home > Ministry Resources > Are you a Good Picker or a Bad Picker? Are you a Good Picker or a Bad Picker? I. Introduction: A single person faces the high-stakes challenge of discerning who might be a good pick for a relationship and who might be a bad pick. The standards the world uses are at best unreliable, the modeling from our own childhood may be distorted, and the church is often silent on the subject. The result is you end up feeling you are all on your own. A. A Definition of a Bad Picker—Someone who lacks the knowledge of what makes for lasting relationships, who ignores wisdom and warning signs, and who impulsively enters into relationships. They pick people who do not share you faith and Christ and who are willing to compromise the truth. C. The Dilemma—A single person faces the high-stakes challenge of discerning who might be a good pick for a relationship and who might be a bad pick. The standards the world uses are at best unreliable, the modeling from our own childhood may be distorted, and the church is often silent on the subject. The result is you end up feeling you are all on your own. A. Definition—True character values are those guiding beliefs and principles that produce a person of faithfulness, respect, purity, kindness, and courage. B. The Challenge—As a single we may meet someone who we are emotionally attracted to yet the person lacks saving relationship with Jesus Christ. A bad picker will: 1) ignore that reality and hopes the person will change later, 2) convinces themselves the person actually is a believer when they are not, or 3) decides having someone is better than having no one and ignores the spiritual disconnect. A bad picker will look outside the community of believers to find someone they find attractive or available. They will make romantic attraction or sexual chemistry the first priority in their lives over spiritual compatibility. A bad picker ignores the warnings of God’s Word believing they are irrelevant, impractical or outdated. They indulge themselves in relationships to the point of excess and even addiction. They lose self-control and simply begin living for the pleasure and experience of infatuation regardless of the cost. As time goes on we care less and less for the things of God. Spiritual callousness develops to the point we don’t sense the conviction of God’s Spirit in our lives anymore. Rather than changing their hearts, they end up changing our hearts. We end up doing things we thought we would never do. You will end up with someone is willing to share everything with you except your love for Christ. You will pick an individual who at first tolerates your faith, then later finds it a nuisance, and finally comes to oppose it. You will find over time that in order to please them you will have to adapt their values more than they adapt to yours. You will one day be presented with the choice to either sacrifice your spiritual integrity or sacrifice your marriage. At best your children will be spiritually confused. You will find your own heart and house divided. Ultimately, you may become a person you no longer recognize. E. The Real Issue—Are you willing to run all the red lights of God’s Word in order to find romantic and sexual fulfillment, or are you willing to wait for a person that shares your passionate love for Jesus Christ? Are you willing to say no to your feelings in order to say yes to your soul? 22 Wives, submit to your husbands as to the Lord. 23 For the husband is the head of the wife as Christ is the head of the church, his body, of which he is the Savior. 24 Now as the church submits to Christ, so also wives should submit to their husbands in everything. 25 Husbands, love your wives, just as Christ loved the church and gave himself up for her 26 to make her holy, cleansing her by the washing with water through the word, 27 and to present her to himself as a radiant church, without stain or wrinkle or any other blemish, but holy and blameless. God knows that marriage and relationships can produce the deepest pain and deepest joy life knows. He understands the incredible conflict, hurt and disappointment that is inevitable when two people not share the same faith. He wants to spare you such deep and damaging emotions and give you a life of peace, harmony and true oneness. Decide today you will not try to build your future house on two sets of blueprints. If the answer is yes, then ask yourself if the person you are dating or will date has that same faith. If the answer to the second question is no, your love interest does not have saving faith, then take the step of difficult step of obedience and let go of that relationship, but do so with grace and truth. Remember it is far better to live single than it is to live married to the wrong person. Can we trust our emotions alone when deciding if we should enter into a relationship? Or to put it another way, why is it just as easy to fall in love with someone who doesn’t share your faith as one who does? Isn’t dating someone who isn’t a believer a great evangelistic opportunity? Why would that be a potential danger? 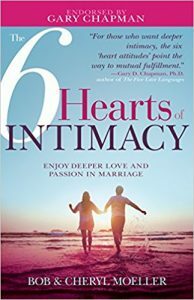 Why would God make such a big deal out of who it is we enter into emotional or love relationships with? Isn’t the prohibition not to date or marry an unbeliever bordering on religious prejudice or bigotry? Five or ten or twenty years into a marriage between a believer and unbeliever why do both persons often end up unhappy (even regretting they married the other person)? A. Definition—Compromising the truth refers to a willingness to deliberately distort the facts, mislead others for the sake of unjust gain, and refuses to hold people accountable for their unethical behavior. B. The Challenge—As a single we can encounter people who have a number of strong character traits, yet when faced with temptation, they are willing to compromise the truth for short-term gain. A bad picker fails to see the danger in becoming emotionally involved or married to such a person, and eventually learns to practice the art of truth compromise to their ruin. Avoid someone who is interested in making a show for others or envious of other people getting the attention. Avoid someone who works schemes in small situations, they are likely to work them in larger ones as well. Avoid someone unwilling to call you on your own compromised behavior. Avoid someone who makes a public display of their good works. Avoid someone willing to allow evil of any kind to find a welcome place in their heart. Avoid someone who is dishonest with money in any fashion. Avoid someone who’s dishonest with God. Avoid someone who has doctrinal issues. Avoid someone who appears to have abandoned their faith in Christ regardless of the justification. Avoid picking someone who lacks appears to lack remorse over things they do wrong. Avoid someone who keeps bad company. Avoid someone who lacks courage or sexual integrity or who is interested in the occult or has numerous idols in their life. You will learn to compromise the truth as well. You will lose your integrity in situations where it was entirely unnecessary to do so. You will find yourself reaping consequences rather than results. You will experience God’s judgments rather than God’s blessings. You will have no one to hold you accountable for your bad decisions. You life will end up being a warning to others (particularly to young people) rather than serving as an example for them to follow. Your relationships, ministry and even life may end much sooner than it needed to. E. The Real Issue—Are you willing to try and wait for someone that will challenge you and hold you accountable to become the best person you can be? Or will you rationalize and deceive yourself into believing that associating with people who tell small lies is really no big deal? Will you let their bad company ruin your good morals? Do a truth detector self-test: On a scale of 1 to 10 how often do you tell the truth when it would be more convenient to tell a half-truth or a small lie? Using that same scale what would a potential love interest have to score in order for you to pursue a relationship? Make a commitment to spend next week telling the truth as many times as possible. If you must keep a confidence tell people the truth you are not at liberty to speak about that situation. Apologize to those you have misled or told half-truths to. Ask friends to hold you accountable to consistently telling the truth. If you catch the person you’re dating consistently compromising the truth, small or big, confront them with that fact. If you do confront them do they: a) get angry with you, b) deny they told a lie, or c) thank you for your honesty? If the answer is (a) or (b) it is likely time to end the relationship. Remember, if they are willing to compromise the truth with others they are willing to compromise the truth with you. Is there such a thing as a small or white lie? Should we really be caught off guard when we discover someone has been telling us a big lie? Were there no earlier clues to indicate they are someone willing to compromise the truth? Why is “walking in the light” necessary to building a successful love relationship? When we enter into a deep emotional relationship with someone should it become easier or more difficult to tell the truth? If it becomes more difficult to tell the truth is that a warning sign to get out? Why is dating a person who won’t ever compromise the truth an important safeguard against a future affair?